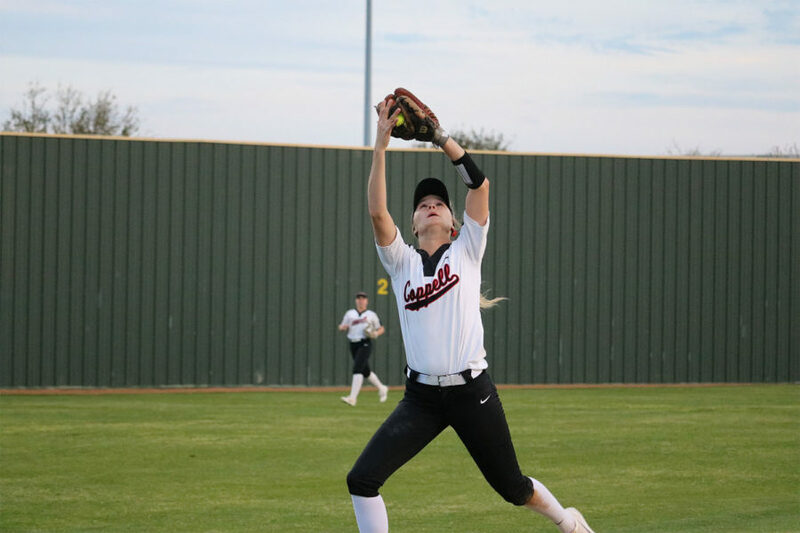 Coppell sophomore Sydney Ingle shortstop catches a pop fly during third inning at Complex Coppell ISD Baseball/Softball Complex on Friday. The Cowgirls lost to Jaguars, 3-2. 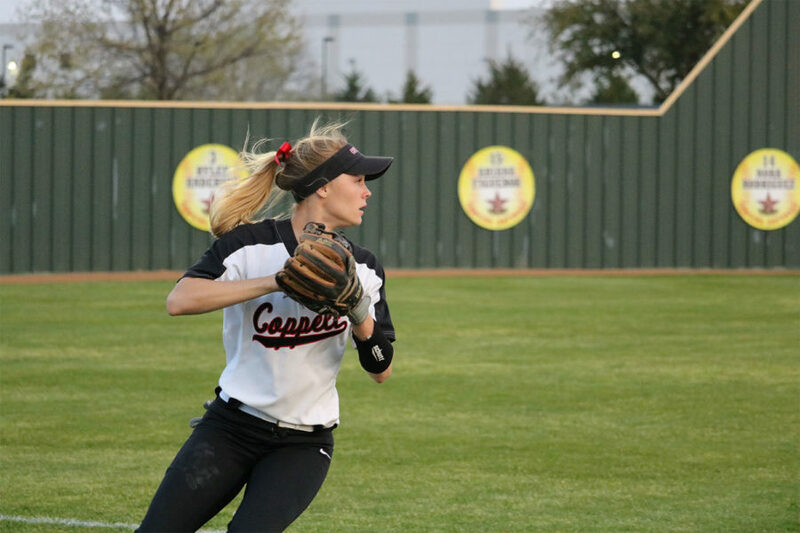 Coppell sophomore Sydney Ingle shortstop prepares to throw during third inning at CHS9 Complex on March 22. 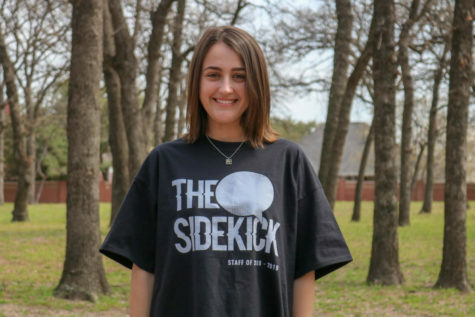 The Cowgirls lost to Jaguars, 2-3.